All manufacturers recommend you have a digital or 3D 4-wheel alignment. With systems like ABS, traction control and cruise control all four wheels need to be aligned. 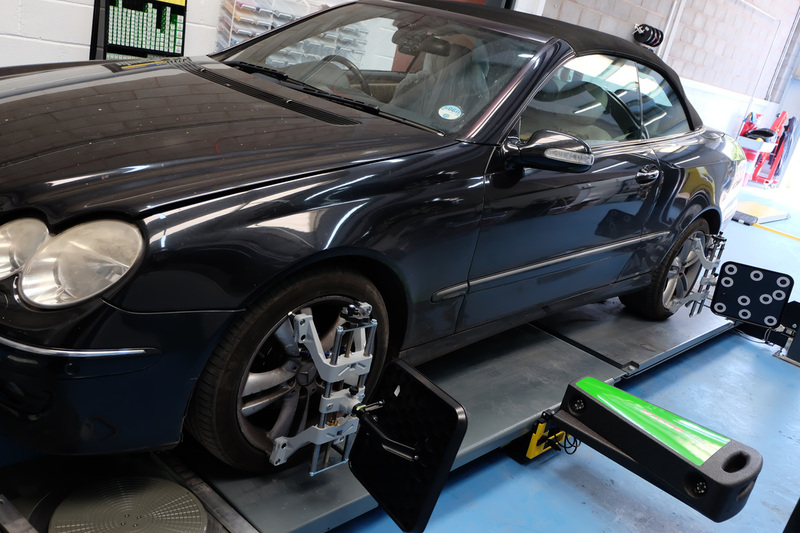 Wheels and tyres are getting bigger and wider - which ultimately means more expense - it is vital to get your alignment checked. We would recommend annually in most cases. If you live out in the countryside where there are plenty of pot holes, and bumps, an annual check would certainly be wise. 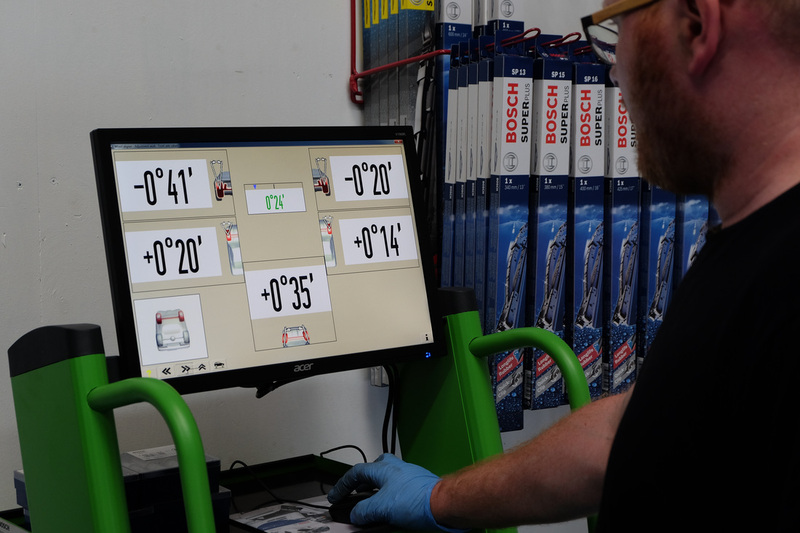 Our Alignment machine use cameras and targets attached to each wheel which create a 3d image of the wheels, and where they are pointing on every axis. Conventional methods of checking the tracking only measured the front, toe in and toe out, angles. This was fine 20 years ago, but not anymore. So, wherever you take your car, make sure you have a 3D 4-wheel alignment! 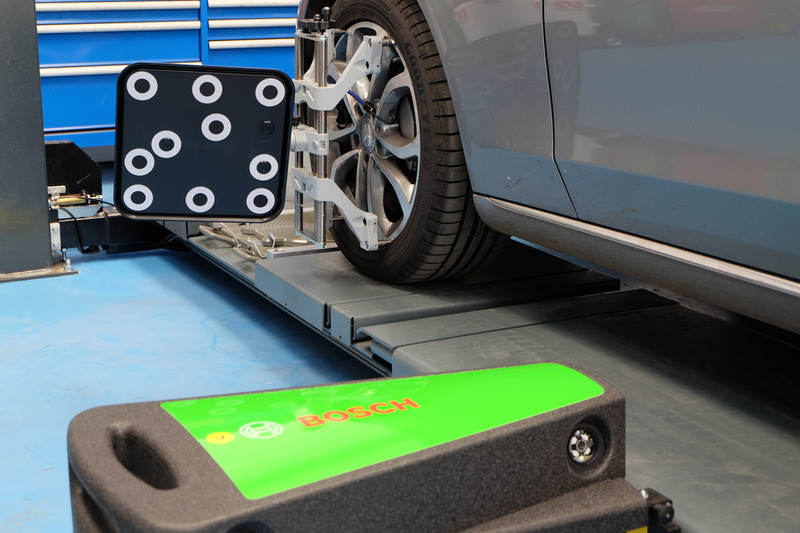 Even if your cars rear suspension cannot be adjusted a 3D 4-wheel alignment is always recommended. Our machine takes an average from the rear wheels and we adjust the front wheels to suit. This ensures that all wheels are pointing the same way, so when driving in a straight line your steering wheel is straight also. A quick alignment check can prolong the life of your tyres, improve your fuel economy and ultimately keep you safer on the road. Call us today to book a check. Only checking and adjusting the front wheels may cause more problems than you might think. For example, sometimes, badly adjusted tracking can cause ABS warning lights to appear on your dashboard. If you are experiencing any of the above issues, and you would like us to help you fix the issues, please call 01823 617790 or email: office@okeedrive.co.uk. "​Tyre pressures are vital for grip and how the car behaves on the road. It may be one of the most vital safety checks you need to do." "​Tyres play a vital role in road safety and is a legal requirement to have at least 1.6 mm of tread at least ¾ of the width of the tyre."